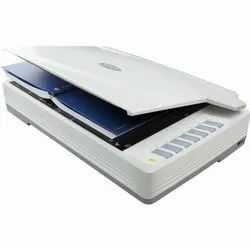 Our service range includes a wide range of 2610 optic slim plustek scanner, a300 plustek optic book scanner, plustek optic pro a320 document scanner, ps456u smart office document scanners, escan a150 plustek scanner and ps4080u plustek smart office scanner. 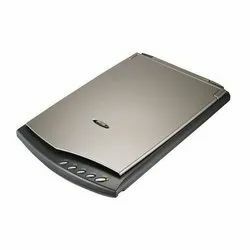 2610 Plustek Optic Slim Scanner is capable of scanning the A4-size document at the optical resolution 1200 dpi and is power cord free, using a USB interface for power and communication with the computer. It is so compact (3.3 cm height) that it can be easily packed in a briefcase, alongside a laptop, also you can enjoy productivity in the office, at home, and even on the move. Consider more convenient to use, OpticSlim 2610 provides an easy installation way, even, more offers 5 one-touch buttons (Copy, OCR, E-Mail, Custom, and PDF) incorporate your frequent applications to increase your daily work productivity. Plustek OpticPro A320 takes is a large format scanner that can scan a 12" x 17" (304.8 mm x 431.8 mm) size document with resolution as high as 1600 dpi in just 8.5 seconds. It is ideal for graphic designers, publishing companies, libraries, schools, small office/home office (SOHO) users and anyone that needs to scan A3 sized graphics and documents. The Plustek OpticPro A320 is designed to meet the most demanding large format scanning requirements. It features 600 dpi resolution and can scan an A3 size (304.8 x 431.8 mm / 12” x17”) size page in 2.48 seconds. speed and efficiency. All scanning is done using the scanner buttons.There is no need to go back and forth between your computer screen and the scanner to scan additional pages. Industry standard TWAIN and WIA drivers combined with TIFF, JPG, PDF and Microsoft Office file formats ensure compatibility with thousands of scanning and imaging programs. I.R.I.S. Readiris is included to easily create and manage searchable PDFs. 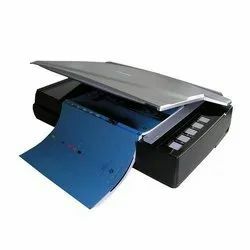 The Plustek Smart Office PS 456U is a 80 page per minute, duplex color document scanner that is not only fast, it's reliable and cost effective. Ultrasonic misfeed detection ensures all of your critical documents are imaged correctly. Robust paper handling, advanced image processing and a high daily duty cycle all add up to the perfect departmental scanning solution for document management, content management and forms processing applications. It is the best value in workgroup network scanner at consumer scanner pricing! You can scan and deliver documents to any popular cloud storage from this connected device. The nature-inspired "feel" was designed into our Apollo UI to make it easy. Thanks to the big touchscreen all the elements are arranged intuitively and refined in detail. Apollo master button is surrounded by four setup planet buttons for easy setting changes from a single screen. 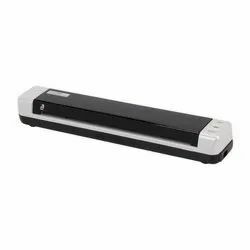 The PS4080U Plustek Smart Office Scanner is a departmental-class document scanner capable of simplex and duplex scanning. 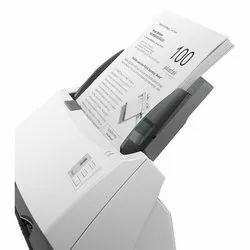 With a built-in auto-document feeder, it is extremely efficient in performing duplex scans of a stack of double-sided documents. In simplex scan mode, the PS4080U can scan up to 40 pages per minute, and in duplex mode, 80 images per minute. 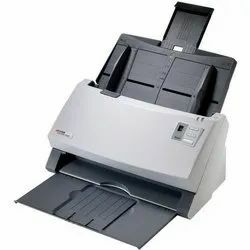 The auto-document feeder, meanwhile, has a cavernous 100-sheet capacity. All these features make the Plustek PS4080U scanner an essential part of every digital office. MobileOffice S410 designed with the reliability demanded by business users, and a price point attractive to home users. It features advanced image processing that allows you to scan mixed sized documents with no adjustments and able scan documents to Evernote and photos to Google Picasa by simply pressing a button! 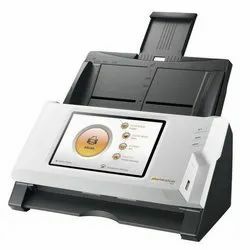 The S601 Plustek Mobile Office is a small, commercial duty, USB powered ID and card scanner. It scans drivers' licenses, insurance cards, social security cards, membership cards as well as embossed cards such as credit and healthcare benefit account cards. Any card, receipt or document as small as 1.3" x 1.7" is easily scanned. The MobileOffice S601 also offers high-resolution scanning of 4" x 6" color photos. The built in software and image processing enables scanning and PDF creation at the touch of a button. TWAIN and WIA drivers ensure compatibility with thousands of healthcare and ID card reading systems. 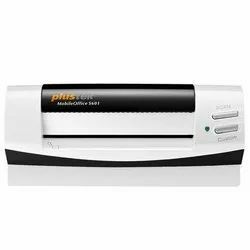 The SN8016U Plustek Smart Office Scanner is a departmental class A3 sized document scanner that interfaces to your PC using either the built in USB interface or built in network interface. The dual interface coupled with industry standard TWAIN and ISIS* drivers and DocAction single touch scanning enable this scanner to be used for almost any document imaging application or scanning environment.